Lawmakers across the country often hold up Colorado’s medical marijuana program as a model for the rest of the nation, lauding the state’s comprehensive set of rules and regulations on cannabis businesses. But everyone who gets involved in the local medical marijuana industry quickly learns a dirty little secret: The state doesn’t do a very good job of enforcing some of these rules. As a result, the regulatory system is not as tough as it appears to outsiders given the lack of oversight. 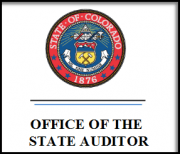 A 100-page performance audit released this week by the state shines the public spotlight on the issue, highlighting numerous shortcomings of the Medical Marijuana Enforcement Division (MMED) – the unit of the Colorado Department of Revenue tasked with overseeing the industry. The findings are expected to usher in changes that will affect medical marijuana businesses, including those awaiting licenses and those skirting the rules or toeing the line. These changes could include everything from a shorter licensing process and higher fees to a redoubling of efforts to ensure dispensaries pay sales tax. The audit team made numerous recommendations for how the division can improve – all of which the MMED agreed to address. 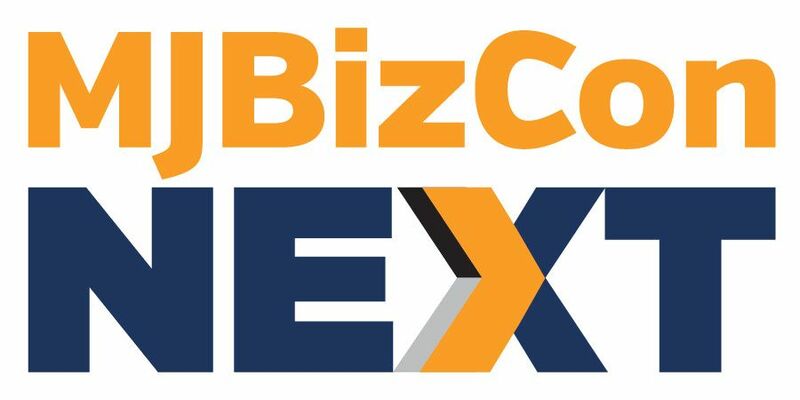 – Ensuring that only eligible medical marijuana business applicants receive licenses. – Speeding up the entire licensing process. – Improving monitoring and oversight. – Creating a system to set fees on MMJ businesses that ensures the division can cover its costs. – Improving processes for seizing and disposing of unauthorized cannabis from MMJ businesses. – Bolstering controls over expenses and staff use of state vehicles. – Dropping the requirement that employees obtain licenses to work at medical marijuana companies. The report urges the division to develop “a comprehensive strategic plan.” The fact that it doesn’t have one speaks volumes about MMJ oversight in Colorado. As a result of the audit, the division will try to ramp up enforcement to the levels called for in the state’s medical cannabis laws. But how much it can do so in the near-term is still questionable given that it faces issues tied to budget and resources. The audit highlighted numerous issues with the MMED and oversight of the industry. One of the biggest: The state’s highly hyped “seed-to-sale” system – which is supposed to track cannabis from the beginning of the cultivation process to the time it lands in a patient’s hands – isn’t even up and running (something any dispensary owner or grower could have told you a long time ago). The MMED spent $1.1 million getting the system ready but didn’t have the additional $400,000 required to complete the project, so it put those plans on hold. The division has said it will start the system by the end of this year. The MMED has also been inconsistent and somewhat lax when it comes to disciplining medical cannabis businesses that are not following the rules, according to the audit. – The division does not have adequate budgeting and expense-control systems in place, as evidenced by huge revenue shortfalls and the fact that the MMED posted financial losses for 19 consecutive months. – The MMED has taken an average of nearly two years to issue final licensing decisions on applications submitted before August 2010. It has also done a poor job of vetting applicants in some cases. – The division under-reported tax revenues from 56 dispensaries to the tune of $760,000 over a two-year period and failed to correctly identify 56 MMJ dispensaries as medical cannabis businesses in its sales tax system. The audit team also “found no evidence that 16…dispensaries had obtained a sales tax license” – meaning they may not be paying the state its due. Another 11 dispensaries did not file sales taxes in the 2011 and 2012 fiscal years, while a dozen have never paid sales taxes in any year. – The MMED has no controls to ensure unauthorized medical marijuana seized by the state is disposed of properly. This was such an interesting read. Chapter 3 highlighting the financial issues facing the department was pretty eye-opening: The department gets a giant check at the start of the program and goes on a spending spree. p.19 “Throughout this report, we will use the term “medical marijuana.” It is important to note, however, that we have not found information indicating that “medical” marijuana is a substantively different product than marijuana used for recreational purposes.” – which is a lead in for the joke, “What’s the difference between a Pharmacy and a Dispensary ?”, “A Pharmacy knows what its medications are for.” – Unless the Dispensary’s can figure out what MMJ is actually medication for…how will they stay in business ? I see you know absolutely nothing about MJ or MMJ. There is a very clear strain data bank which shows the difference is in each. Most clubs have their meds tested for chems, and the different gene structures which gives you a guide not only how potent it is but detailed effects and whether it is High in CDB which helps those in pain but don’t want to get high…. if you don’t know jack about the subject, take your REEFER MADNESS mentality back to the Tea Party…. I remember Reefer Madness…I used to teach on that history for undergraduate courses back in the 1990’s. You might benefit a bit from knowing the basis for my comment which you will find in my Linked In page. And…no real need to be insulting – we’re on the same side. No, I don’t think we are on the same side. And it’s a shame the MMED has less credibility than the good folks who sell cannabis to patients. We were counting on them to lend accountability to our industry in the eyes of the nation. Will the good folks, in the industry, be telling us what is in the products sometime soon? That kind of transparency sounds good !I’m sure the serious patients would like to know so they can determine their best care options. Though we certainly can’t control the MMED we can advance our own high standards of care for suffering patients. Maybe saying what is in the products is a first step from our good friends to display our legitimacy as a medical option. A side point- people aren’t collectively good or bad because they work in the industry or because they work for the MMED. People are just people. If we’re angry with them for not agreeing with us it doesn’t make them evil. They just think/believe differently and might have a point or two to make to enlighten our understanding of the world. Love isn’t just for “our side”. Let’s clean up our own side of the street since we can. A street where EVERYONE, even the friends we haven’t made, are WELCOME. We’re all in it together after all.